Board members pose at the ribbon cutting ceremony for the new Emganwini building. Lesley Goldwasser and her family own and operate The Betsy-South Beach (thebetsyhotel.com), a boutique luxury hotel located in Miami Beach, known for its community-based philanthropic work and a deep commitment to arts and culture. Goldwasser is also co-president of the Plutzik Goldwasser Family Foundation (pgfamilyfoundation.com), which supports wide-ranging causes, including education, African Relief, Literature, and Jewish communal causes. ​She is on the Board of Directors of the Miami Music Festival and the UJA Federation of New York. A Veteran Wall Street Executive, Lesley is a managing partner of GreensLedge, an investment banking firm headquartered in New York City with offices in London, Tokyo, and Seoul. She has over 25 years of investment banking experience, including previous executive positions at Credit Suisse and Bear Stearns. She currently serves as lead independent director of Tiptree Financial. Born in Zimbabwe, Lesley is a graduate of the University of Cape Town. Jonathan served 12 years as Chairman of the Board of the CORO New York Leadership Center, with additional Executive Leadership service to UJA-Federation of NY currently serving as a member of the Board and Executive Committee and as UJA-Federation's General Program Chair. Jonathan is a board member of the newly established Washington, D.C. based Museum of Language Arts which will operate under the name Planet Word. He has served on the Executive Committee of the Board of Directors of Fannie Mae since 2009, where he chairs the Risk Policy and Capital Commitment Committee. Jonathan is Chair of the Mayor's Task Force on the future of Ocean Drive in Miami Beach and a member of the Council on Foreign Relations. Jonathan received his B.A. from Brandeis University and his M.B.A. from the Wharton School of the University of Pennsylvania. Jonathan is Co-President of the PG Family Foundation in NYC. Deborah holds a Doctorate and Masters in Education from Columbia University Teachers College, a Master of Science from the University of Illinois, a Bachelors Degree from the University of Rochester, and a certificate in Public Policy from the Institute for Educational Leadership in Washington, DC. In 2004, she was named one of Maryland's Top 100 Women for her work connecting business and nonprofit enterprise, as organizational leader, mentor, and community volunteer. Tapiwa Chizana is a Chartered Accountant by profession and the Chief Risk Officer for Deloitte Central Africa, comprising Deloitte's Zambia, Malawi and Zimbabwe firms. He has been with the firm for seventeen years. Tapiwa is also the Partner in charge of the Deloitte Bulawayo office. Tapiwa is a business rescue practitioner, and helps businesses to return to profitability through management improvement and business re-engineering as may be deemed appropriate. He is the former Chairperson of the Matabeleland Society of Chartered Accountants Committee and also a member of the Council of the Institute of Chartered Accountants in Zimbabwe (ICAZ). He is currently the Senior Vice President of the Institute of Chartered Accountants in Zimbabwe. Tapiwa is on the Practice Review Committee of the PAAB (Public Accountants and Auditors Board). Tapiwa studied with the University of South Africa. 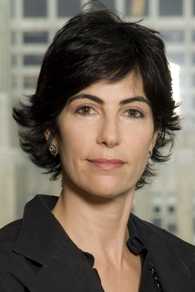 Dalia Cohen as CEO helped build Cassava Connect (a FinTech company and part of the Econet Group). She is now a Group Executive of Cassava Connect and the Econet Group. Dalia spent many years as a senior executive in the finance industry where she previously managed business development and fundraising for Oak Hill Advisors, JLL Partners, and Trimaran Advisors. She also has experience in the technology industry, as she served in CFO and senior strategy functions at Small World Sports and DoubleClick, Inc. (since acquired by Google), respectively. ​Dalia began her career at Morgan Stanley in Mergers & Acquisitions and Global High Yield. She holds an M.B.A. from Harvard Business School, an M.I.A. from Columbia’s School of International and Public Affairs and a B.A. from Columbia University. She grew up in Bulawayo. Katie Cooper recently served as a Managing Director at HazelTree in New York City. She has also worked at Credit Suisse in prime services and Bear Stearns. She is currently working on property development. Dirk D. Goldwasser is a Founder of Keystone Corporation, a trading fund involved in equity, bond and commodity trading that is also active in the private equity investment arena. He is also part of the ownership team at The Betsy-South Beach and has been a Consultant/Trader at Filin Corp. since August 1996, Mr. Goldwasser received degrees from the University of South Africa and Columbia University in New York City. He was born and raised in Bulawayo, Zimbabwe. Caron Sapire was born in Bulawayo, Zimbabwe. She attended Townsend High and the University of Cape Town. Caron was inspirational in the founding of Zara's Center. Rachael Plutzik (Lesley Goldwasser's daughter) had the idea to found Zara's Center after a trip with Caron and her two daughters to an underprivileged suburb of Nketa. ​Caron was instrumental in helping Colin build Nutribullet and is a qualified and practicing psychologist. Colin Sapire was raised in Cape Town and attended the University of Cape Town. He is the CEO of Capital Brands, LLC, which is the developer, marketer, and distributor of the NutriBullet. In addition to distributing the famous blenders, NutriBullet also works with schools in the USA to teach children about nutrition using their blenders (www.nutriliving.com/changing-lives/nutribullet-university). Colin has consistently supported Team Zara in the NYC Marathon. He will be running again to raise funds for Zara's in 2017.